The special jury award was won by Aamrithyu, directed by Arup Manna amd produced by Nabamika Borthakur. 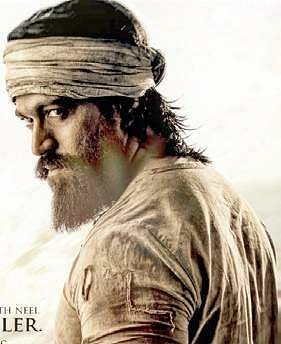 BENGALURU: The Yash-starrer KGF Chapter-1 has been adjudged the most popular Kannada cinema of the year, the awards for which were presented on the closing day of the 11th edition of Bengaluru International Film Festival (11 BIFFes 2019) on Thursday. The film is directed by Prashanth Neel and produced by Vijay Kiragandur. The second and third most popular Kannada films are Anant Nag-starring Sarkari Hiriya Prathamika Shaale-Kasaragodu, directed by Rishab Shetty, and Shivarajkumar-starrer Tagaru, directed by Soori and produced by K P Srikanth. In Kannada cinema competition, Karnataka Chalanachitra Academy Award for the Best Kannada Cinema has gone to Mookajjiya Kanasugalu, directed by P Sheshadri and produced by Navyachitra Creations. The second place went to Savitribai Phule, directed by Vishaal Raj and produced by Basavaraj V Bhutali while the third spot went to Ramana Savari, directed by K Shivarudraiah and produced by Stoiney Joseph Pais. The Netpac International Jury Prize For Kannada Cinema was won by Nathicharami, directed by Mansore. The Chitrabharathi Indian Cinema Competition Best Indian Cinema Award was won by Ghode Ko Jalebi Khilane Le Ja Riya Hoon (Taking the Horse to eat Jalebis), directed by Anamika Haksar. The special jury award was won by Aamrithyu, directed by Arup Manna amd produced by Nabamika Borthakur.